^ "About Supreme Court". Nccourts.org. Archived from the original on 2008-12-17. Retrieved 2008-12-17. 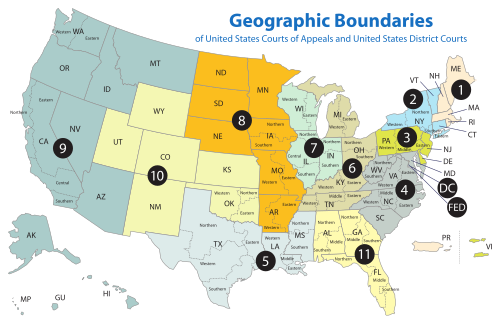 ^ "About Court of Appeals". Nccourts.org. Archived from the original on 2008-12-17. Retrieved 2008-12-17. ^ "Superior Court". Nccourts.org. Retrieved 2009-06-05. ^ "District Courts". Nccourts.org. Archived from the original on 2008-12-17. Retrieved 2008-12-17. ^ "Welcome to the Eastern District of North Carolina". Nced.uscourts.gov. Retrieved 2008-12-17. ^ "U. S. District Court". Ncmd.uscourts.gov. Retrieved 2008-12-17. ^ "NCWD Home". Ncwd.uscourts.gov. Retrieved 2008-12-17. This page was last edited on 6 June 2018, at 10:11 (UTC).